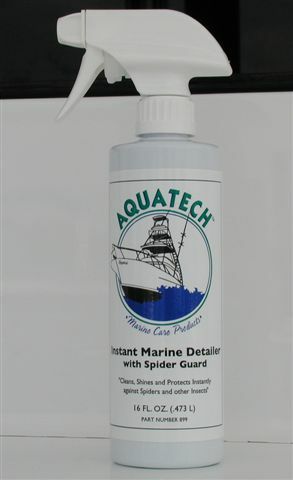 Aquatech's New Instant Marine Detailer with Spider Guard is formulated to instantly clean and shine exterior marine surfaces (paint, metal & fiberglass) as well as aid in repelling against the invasion of spiders and other insects on your marine craft. It also adds a superior gloss and durability to all exterior polished surfaces. Aquatech Rust & Stain Remover is an accelerated gel formula that creates a synergy between the product and stain without having any detrimental effects on the surfaces' finish. It safely removes stains, rust and hard water spots from marine grade paint, gelcoat and metal surfaces while also helping to slow hidden stains from returning to the surface. The thick gel formula allows the product to remain on the surface where applied to dissolve the stain. 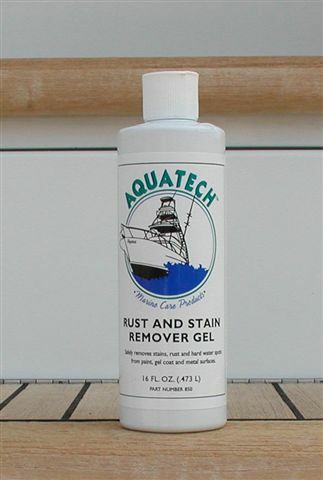 Aquatech Rust & Stain Remover Gel has been professionally lab tested on marine polyurethane yacht finishes with no loss of paint gloss or paint hardness found. on their products and detail kits. 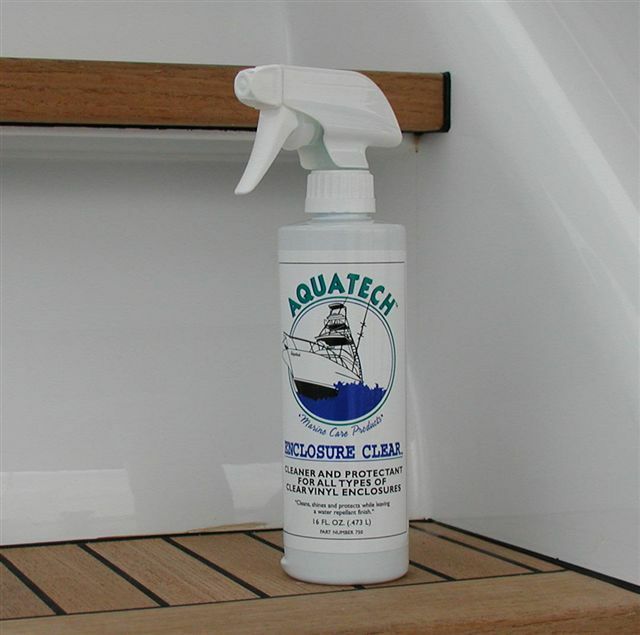 for Refinishing, Polishing, and Maintaining your Vessel"
Aquatech's new product, Enclosure Clear Cleaner & Protectant is safe for use on all clear vinyl enclosure materials. It's improved formula has been proven over the last several years and was formerly known as Aquatech's Strataglass Cleaner and Protectant. Enclosure Clear is specially formulated to clean, shine, and protect clear vinyls while leaving behind a water repellant finish. Regular use of Enclosure Clear will ensure that the surface remains clear and flexible. Contact Aquatech Products at (910) 270-6037 or your distributor for availability. Copyright ©2012 Coastal Computer Systems, Inc.